As you will recall, this happened just before Thanksgiving. I didn’t hear anything ,although I offered a Ferguson Vespers on Wednesday evening for my congregation. Of course, as fate would have it, I have laryngitis! And I was asked to pray on the steps of City Hall. With my weak voice, I spontaneously mustered words from Howard Thurman and Langston Hughes that were met with Amens. 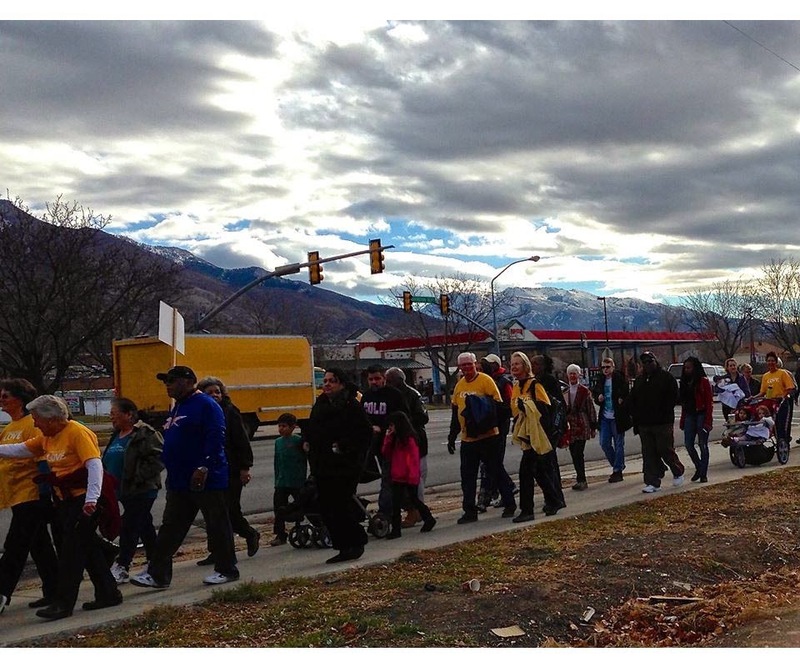 Today started something in Ogden. There is a high resolve in the air. It was palpable. May it be so in your communities as well as we move forward together. May you remember that sometimes the power of one can blossom into the power of many who, together, will help in building a new world. Today gives me hope. Thank you, Shelley. I am so moved by your action, and by his response. This is what standing on the side of love looks and feels like! Holy. Thank you so much. This is why I'm a UU. Without faith, I would not have the strength to retain hope. Fantastic! I am a member of Live Oak UU Congregation in Goleta, CA and was one of several members attending a peaceful vigil for Eric Garner last night. I appreciate your message very much. Love that you reached out in love and left those phone messages for the pastors of the black churches! Our work is just beginning on this hugely important issue!